They are finally here, I think to myself. It’s been three years since I landed in Israel, leaving my family and friends behind to chase the dream of rebuilding Zion. I came determined to serve my country. Who would have known that three years would lead to this, to my immediate family as well as my distant family starting to trickle back into the country? First it was my aunt and uncle with two of my young cousins, then two more of my older cousins; after them came my younger sister and next my little brother. My parents eventually followed and now today … my older brother and his family, the final piece in my immediate family’s puzzle. It’s been more than three years since all of us have been together in one room. If I wasn’t stuck on base for Shabbat, someone else was. If one of us wasn’t traveling the other was. But here we are—about to be reunited. The road to the airport is hot and bumpy. Signs dot the fields next to the highway that say: “Here we keep sh’mita,” reminding all those who pass that the land is still in its resting year. I’ve traveled this road hundreds of times. It was the first road I took when I moved here, then it became the road between Jerusalem and the beach (one of my favorite spots in Israel). A bit later it became the road to my Air Force base, and now it’s the road that I travel to pick up family and friends from Ben Gurion Airport. And here I am again, traveling the road this time to bring the final piece home. It’s funny, really, why so many of us choose to come here. This hot desert land that demands a higher level of roughness and is brutally honest with you no matter what fragile state you are in. My Israeli friends think we are crazy to uproot our “American lives” to move over to the Middle East. “Why would you EVER want to come here?” they ask me in their very blunt Israeli way, acting like I am little bit crazy for even wanting to come. I’ve learned now to simply smile back and say, “Because I believe in Israel,” and although there are a thousand other reasons, that’s what gets them to stop asking and— most importantly—stop treating me like I’m crazy. We arrive at the airport and buy some balloons that have the nation’s flag with a “Welcome to Israel” banner across it. And then we wait. We wait for them to come through the doors with the bags stuffed full of everything they own. We wait for their exhausted faces to be greeted by our smiling ones. We wait and we wait. 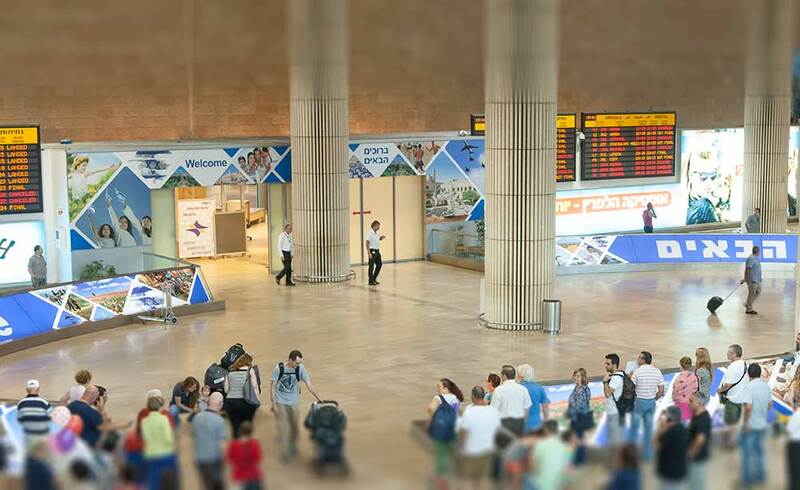 Watching as hundreds of tourist and Israelis return to the Holy Land. Some cry on arrival, others march right through the crowd determined to get all the way home. Finally, as if the universe shifts a bit, their smiling faces come through the doors. Like thousands before them and thousands to follow they come with tears in their eyes and a dream in their hearts. We run to them, singing and shouting: “Welcome home!” We embrace and hold each other for a few moments longer than usual. Tears of joy come down our faces, tears of dreams coming true, tears of years in exile, tears because our souls have finally come home. 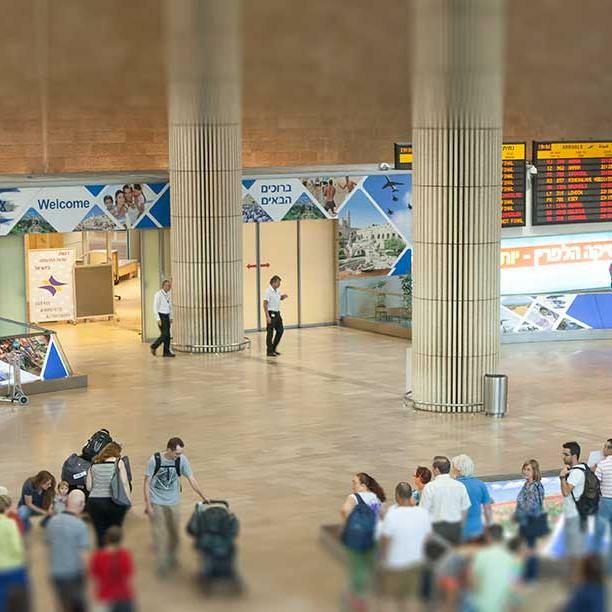 In those moments of embrace on the ground at Ben Gurion Airport, we shed those tears. Tears of fear, tears of the unknown, tears that come from the sacrifice. Tears that strengthen us and comfort us, tears of a dream for a rebuilt Jerusalem and a thriving Jewish homeland. Tears that remind our souls that we are but beings connecting our souls to their final resting place. These are the tears of Aliyah, of our dreams coming true. These tears never really stop. The struggle to rebuild Zion is great. These tears define the dream in which we are living everyday. Welcome home, friends, and may we build Zion together.